Troubleshooting Tips for Accessing the IN. Are you an AHA Instructor? Register with the AHA Instructor Network today! Once you complete registration, your Training Center Coordinator must confirm you for access to all the latest tools and information for AHA Instructors. Interested in Becoming an AHA Instructor? 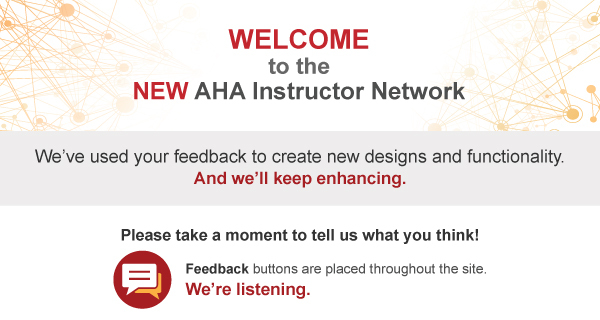 Welcome to the AHA Instructor Network! Just need your current tools? Proceed to login to the AHA Instructor Network for all current Instructor resources and course information. Have you already completed your AHA course? Are you looking for a replacement Course Completion Card?